Something very beneficial to all music composers and makers of music has been going on as of late. 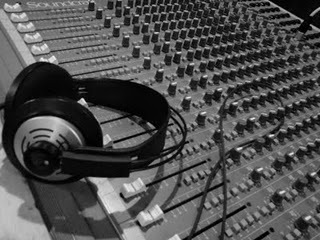 The combination of the web and decreasing costs of music producing various forms of digital media has given rise to whole new areas of demand for quality music. This is obviously a good thing for the people who make it, but it does not necessarily mean that they will be able to find work and make a living by their art all of the sudden. New art forms like internet videos (youtube), video comics, flash animations, and so on all need music to complete their effects. Music Composers and producers should be able to step in and fill this void, but there are a few things working against them along with all of these benefits. One major point is that as it has become more practical to make high quality music on your own, the number of musicians out there has also risen. This means that music composers who want to get their music in films or videos face more competition. It’s also a challenge for those composers to become known to the people who need the quality music. Web Sites such as thing one can help with these facts, and over time, it should become easier to deal with these matters. In the general sense, it cannot be seen as a bad thing that there is so much more demand for music out there, and more ways of fulfilling that demand should appear. As things progress, music video content and other forms of media that make their way online with continue to require music, this means that composers may find themselves more and more in need if they can master some basic marketing techniques and make their name stand out enough to be seen.